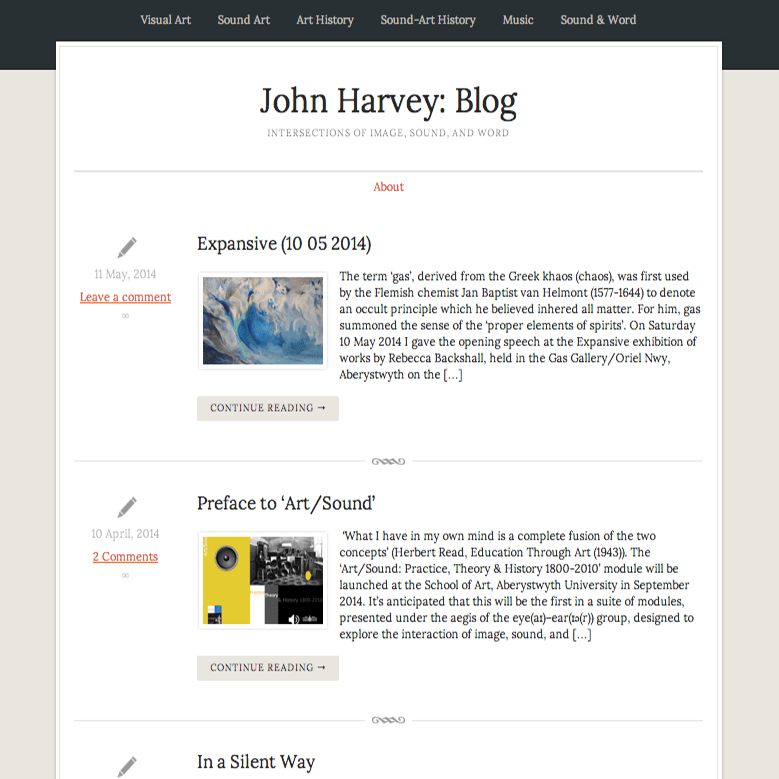 John Harvey: Intersections of Sound, Word, Image and Life presents occasional short essays, reviews, recollections about, and ruminations upon, sonic, textual, visual art, and personal experience. The topics are dealt with either independently or interleaved. Diary provides an insight into my activities, challenges, discomforts, and discoveries as an academic and a creative practitioner.